A girlfriend of mine has just gone through a pretty rough break up. Being the emotional robot that I am, being comforting and talking about feelings is not exactly my strong suit, so I wanted to express my sympathy through calorie-packed chocolatey amazingness. 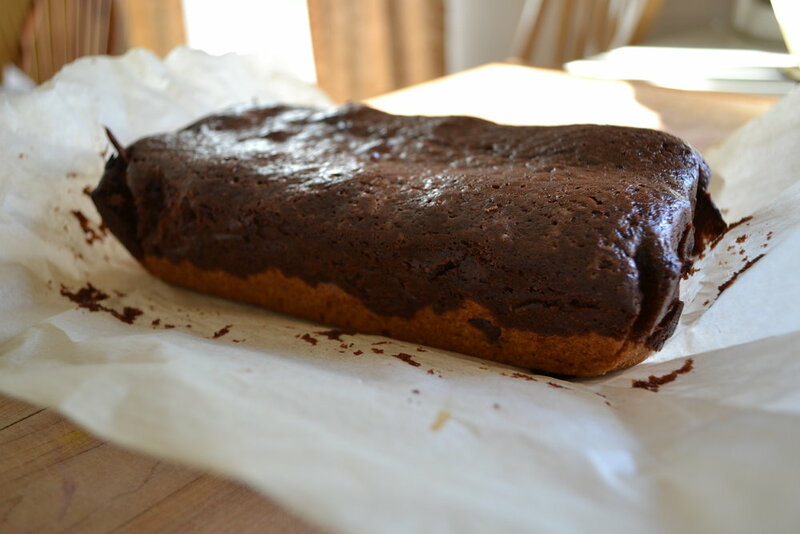 I have never made vegan brownies before, but I also wanted to make something with lots of chocolate, then I found this recipe by The Londoner and OH MY GOODNESS. This looks like it'll mend a broken heart and put back the 10 pounds you lose when not eating because you are too sad and too much in pain to eat. I laughed out loud when reading her intro to the recipe: "They're called Slutty Brownies because they're oh so easy, and more than a little bit filthy." 1 package Oreos. I know that Oreos are not a true vegan product, but my approach to vegan is like James Frey's approach to writing non-fiction: I have the right idea, but I like to embellish the details when it works in my favour to do so. 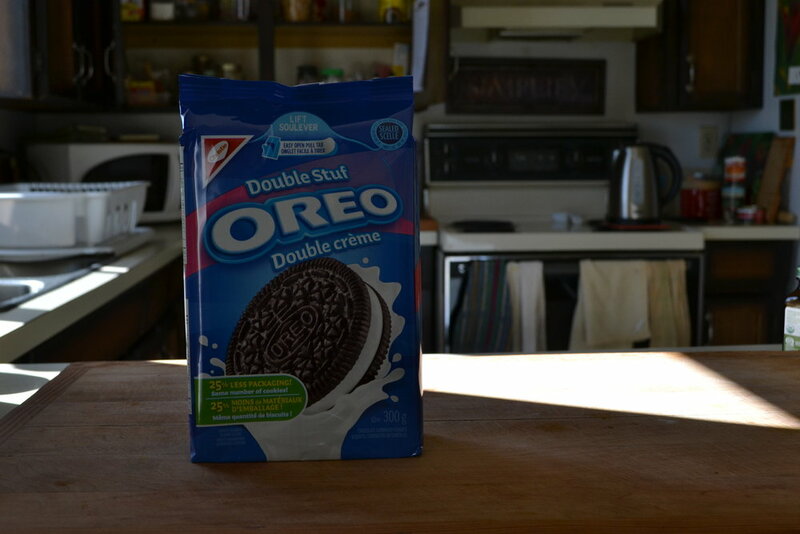 Oreos are delicious, therefore they are totally vegan, that's why I went for the double stuf variety *wink. * Trader Joes does have a very similar cookie product called Joe Joe's if you'd like to make a completely vegan variety. 1. 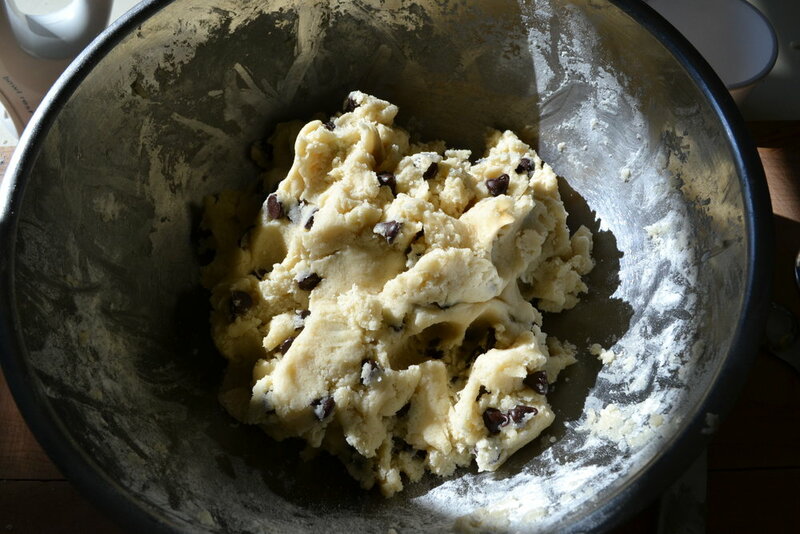 Make your chocolate chip cookies. I am using the same recipe I blogged about before; it's super quick and simple. I added about an extra tablespoon of butter to the dough after it was formed to prevent it from drying out as it will be cooking for longer than cookie dough is meant to. 2. Make your brownies. 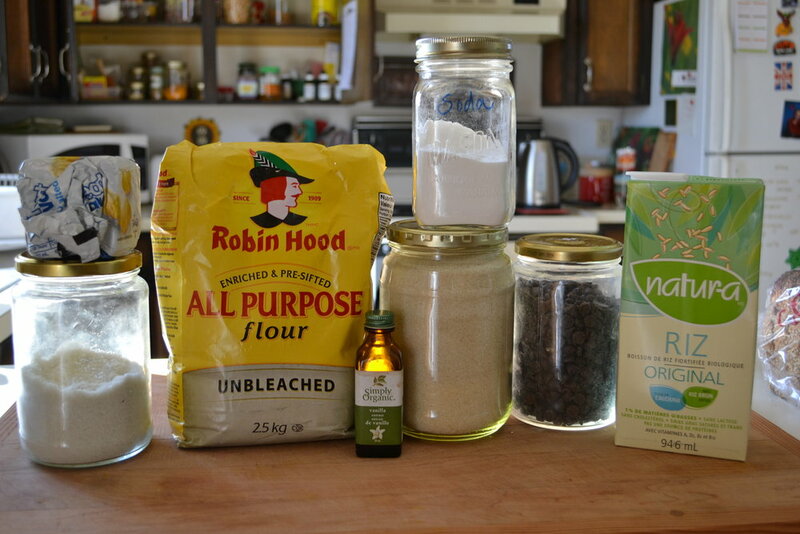 I first mixed all the dry ingredients, then added the wet ingredients and mixed everything together. 3. 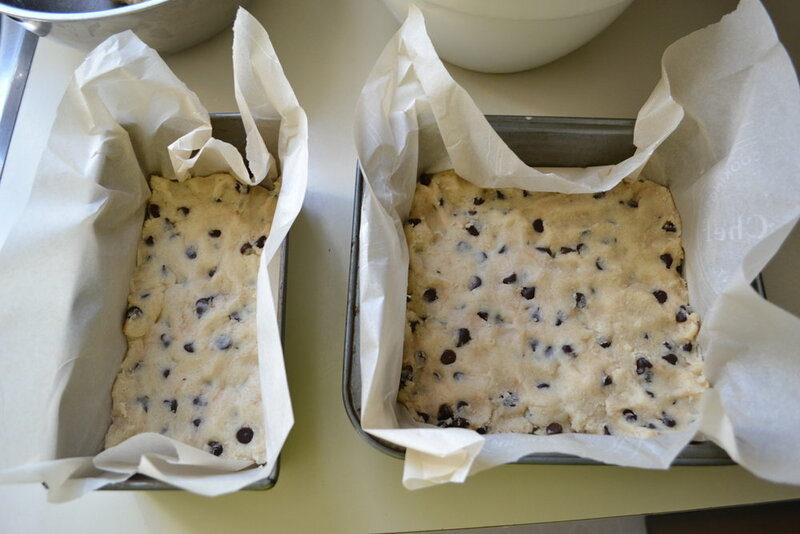 Line your baking tins with parchment paper and squish in the cookie dough into an even layer all over the bottom. 4. Add a layer of oreos on top of the cookie dough. 5. 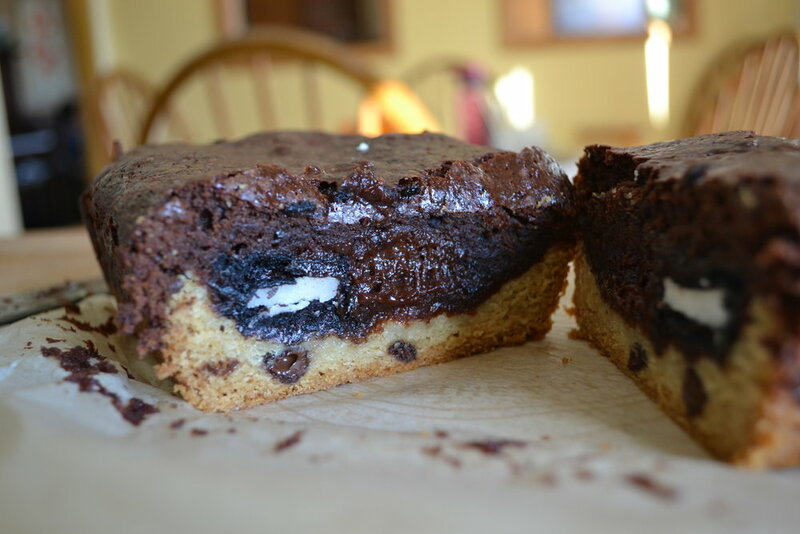 Layer the brownie batter on top of the oreos and spread evenly. Bake at 350 degrees Fahrenheit for about 30 minutes. My oven ended up taking about 45 minutes. I took them out when a toothpick inserted into the brownie layer came out clean. 6. 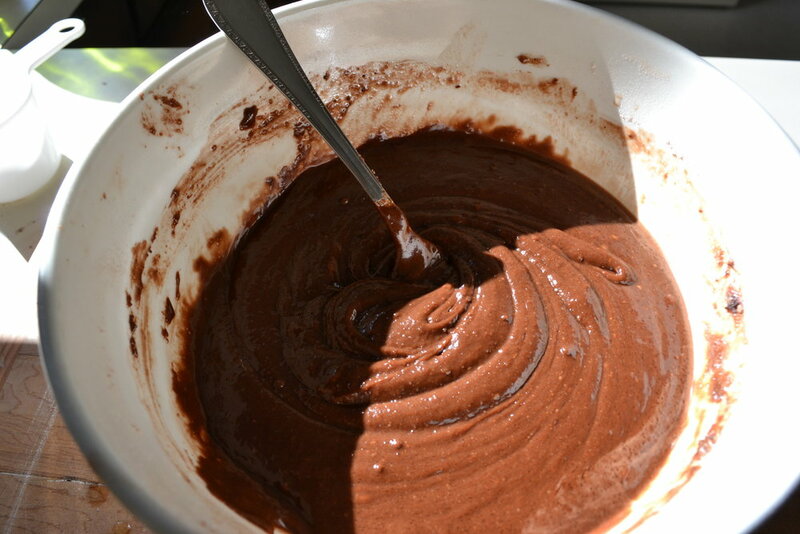 Let the brownies stand for at least 10 minutes. Use the parchment paper to take the brownies out of the pan and use a sharp knife to cut them into pieces of your choice. For the most decadent and heart mending enjoyment, serve warm with vanilla ice cream. HOLY MOLY these are the epitome of decadent, chocolately, dessert goodness. They really are so easy to make and taste like you put a whole lot more effort in to them. And they look freaking delicious too. Seriously, even if you're not suffering from a broken heart and in need of some self-indulgent calories, you need to make this. They are amazing.